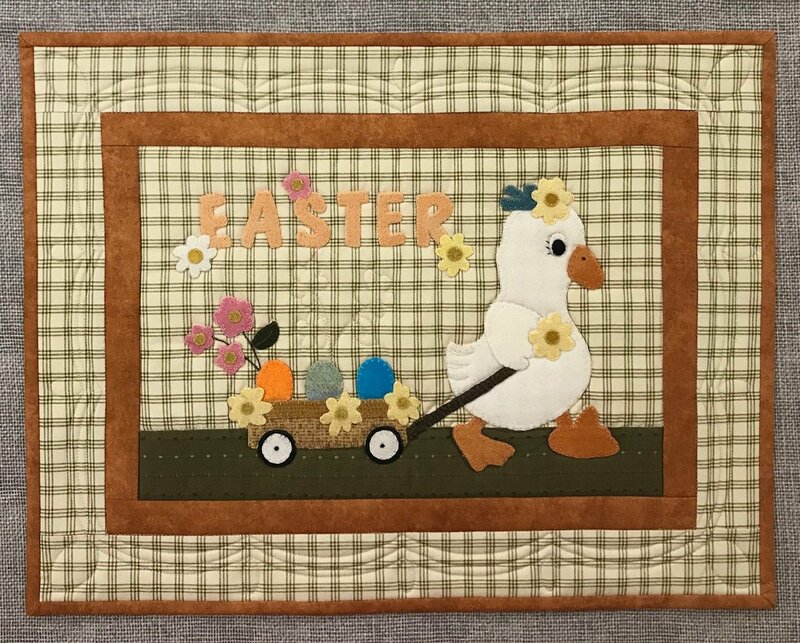 Penelope the Easter Duck Wool Applique Pattern. Finished Size is 21-1/2" X 16-1/2"
I didn't have a name for my duck but when she came back from the quilters house she had one. My long arm quilter had named her Penelope. Looks like she found these eggs at an egg hunt.